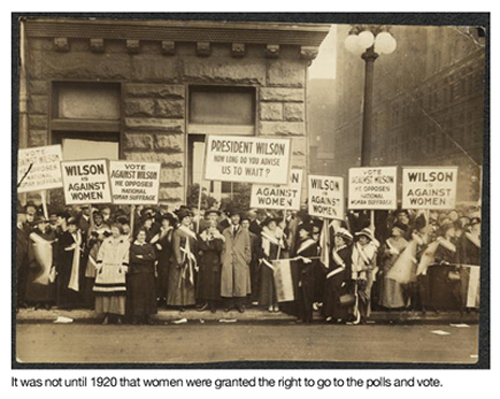 In the year 2012 it’s hard to believe that not so long ago women couldn’t vote. But after witnessing all the gaffes made by male politicians about women’s rights during this election, sadly, maybe it isn’t THAT hard to believe. I wonder what these women, who endured nothing less than torture in order for us to vote, think of these comments of the past year. Has our progress, growth, and evolution as women, trumped the unintelligent and uneducated responses of so many men? Situations like the Night of Terror make me wonder if I would have behaved like these women had I been born in the early 1900’s. I have also wondered if I had been a little older, would I have marched with Dr. King and been vocal during the civil rights movement. Gosh, I hope so. But I ALSO have to wonder if there isn’t a situation just like this happening now. Is it gay marriage, domestic violence, sexual slavery, immigration, poverty, gun control? Am I doing all I can? Am I as courageous as I could be? My hunch is that as the women endured beatings while chained to their jail cells, they envisioned their daughters’ and even great granddaughters’ futures. I have IMMENSE gratitude for their courage, wisdom and perseverance. I want them to be proud of us. 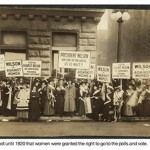 Lucy Burns, Dora Lewis, Alice Paul and many others fought too hard for us to allow our rights to be moved backward now. Well, there is one thing I know I can do in honor of the Night of Terror.